As Episcopalians (and members of the Anglican Communion), we are followers of Jesus Christ, and both our worship and our mission are in Christ’s name. In Jesus, we find that the nature of God is love, and through baptism, we share in his victory over sin and death. When we are baptized into the church, we become part of an extended family, one with Christians throughout the ages and across the world. We reaffirm that commitment during the sacrament of Confirmation. The Bible is our foundation, understood through both tradition and reason. Our worship is filled with Scripture from beginning to end. Another book you will encounter at an Episcopal church is The Book of Common Prayer. It's a treasure chest full of devotional and teaching resources for individuals and congregations, but it is also the primary symbol of our unity as a church. We, who are many and diverse, come together in Christ through our worship, our common prayer. Approximately 70% of The Book of Common Prayer comes directly from the Bible. 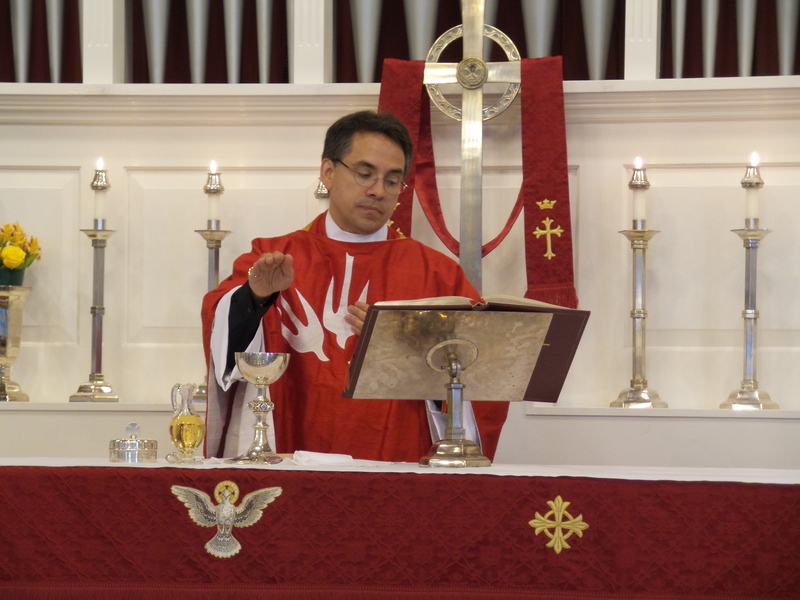 On Sundays we also celebrate Holy Communion, the Eucharist (which literally means "thanksgiving"), or Mass. This is the family meal for Christians and a foretaste of the heavenly banquet. All who seek God and are drawn to Jesus Christ are welcome to receive the bread and wine, and be in communion with God and each other. Grape juice and gluten-free wafers are available upon request at all services.